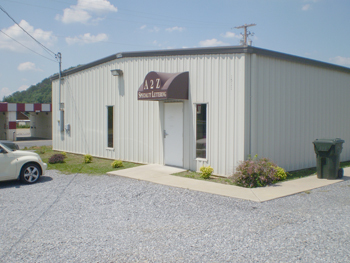 Welcome to a2z specialty lettering, historically located in the oldest town in Tennessee; Jonesborough. We are a family owned and operated embroidery business, entering our seventh year of providing quality workmanship in a timely fashion. Embroidery is our main opportunity to serve you but we also provide chenille lettering for school banquets and letterman jackets. Tackle twill lettering is also a service for team sports uniforms. We have numerous patterns and designs and the willingness to create something new and different. Take a look through our site and let us know what we can do for you.